The camera on the LG G4 has an integrated Manual mode which offers the kind of DSLR-level controls and features that any budding amateur or pro photographer can appreciate. That said, manual controls aren’t unusual for smartphones, but they’re typically buried underneath a litany of automatic shooting modes that are far easier to use. The LG G4 Manual mode is one of a handful of dedicated modes on the phone, yet, it also happens to be the best. The camera’s wide f/1.8 aperture, optical image stabilization 2.0, and unique color spectrum sensor work to bolster its performance, allowing the rear camera’s 16-megapixel sensor to take in more light for better contrast and color reproduction in low-light scenarios. Getting those results isn’t all that difficult, either, and understanding the manual controls doesn’t have to be intimidating. Below are some of the cool ways you can be creative and capture great images when going manual with the new LG G4. The ability to see the changes in real time is critical for users who may not understand what each setting does. White balance adjusts color to look more natural. 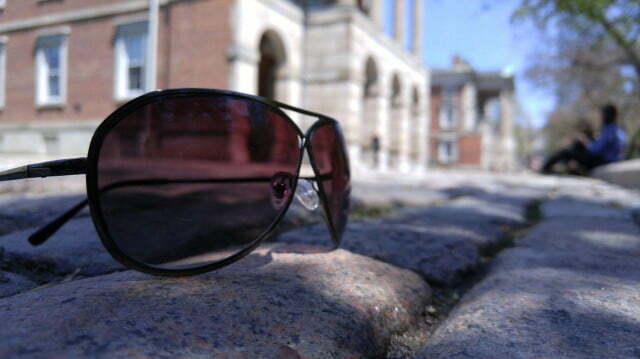 Manual focus helps the camera better focus on objects that are further away or close up. Exposure adjusts the brightness and contrast. 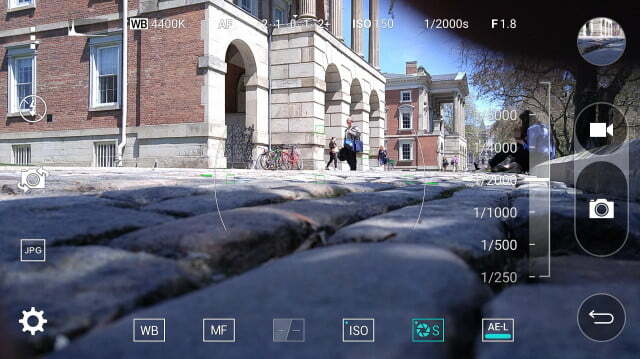 ISO is the camera’s level of sensitivity to available light. Shutter speed dictates how fast or how long light is exposed into the sensor. 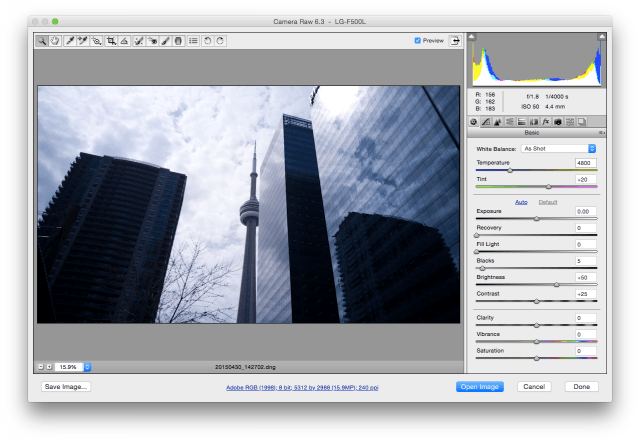 Auto-exposure lock negates the manual exposure controls and tries to figure itout for you. Not every photo requires tinkering with all of these settings. Sometimes, simply settingthe shutter speed or white balance is enough to frame a color-corrected and properly exposed image. For close-up macro shots, you may need to push the manual focus bar closer to the macro position (where the plant icon is). It’s easy to see what worksand what doesn’t by watching the results shift in real time. One of the best aspects of shooting with a DSLR or solid mirrorless camera is depth of field (DOF), where a sharp foreground subject stands out in front of a blurred background. Smartphones haven’t been able to properly replicate this effect very easily, because they don’t have optical zoom that can shorten the range and tighten focusing. Software trickery has made it possible on some phones with varying results,and the LG G4 uses some of that digital magic to make it work. 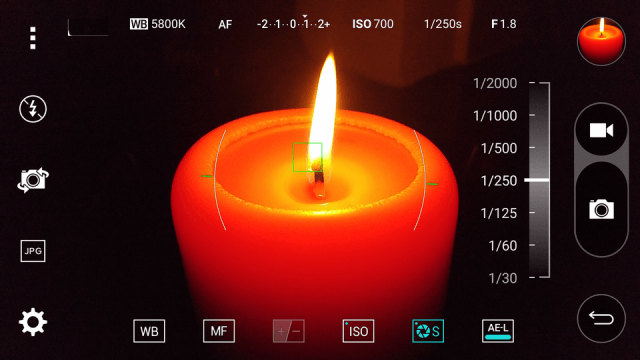 Using the white balance slider is a good way to adjust color and reflections at nightand in low-light settings. Sometimes, you may prefer a night shot or dark indoor setting that looks a little more natural, so you might slide white balance more to the middle. Ifit seems a little too dark, lower the shutter speed and raise the ISO. Note that the higher the ISO, the noisier the image may turn out. Low shutter speeds are also more prone to hand shake, so if you are taking a photo of a cityscape, vista, architecture, or object in darker situations, try to rest your phone on a flat surface or use a tripod or mount to keep it steady. Photographers know that faster shutter speeds make it easier to capture action shots,and the manual controls the G4 offers do make that possible. The caveat, however, is that going too high on the shutter darkens the overall picture considerably. That’s why this setup is a little easier to pull off in bright daylight settings, but even if you want to do it indoors, there are some adjustments that can make it happen, too. Since it’s hard to tap to focus on a moving person or object, you may want to turn Auto off and adjust the manual focus for distance. If you’re far away,say, on the sidelines of your child’s soccer game, pushing the focus slider allthe way up should keep you in focus. If you’re in a setting where you’re closer,then adjust the slider until you see the subject sharpen into focus. Indoors, you may need to ramp up the ISO or exposure to allow more light to seep into the sensor. Also try using the auto-exposure lock on the LG G4 to find the right balance for you, and then play around with the ISO and shutter to get the right mix. Once you’re confident the lighting is sufficient, then you can concentrate on capturing the action. Remember,the higher the shutter speed, the easier it is to “freeze” the action. It’s rare to find a smartphone that can also shoot in RAW, but photographers of all stripes could easily appreciate what that brings to the table. RAW is basically an uncompressed and unprocessed image that retains more of the detail than a JPEG does. The reason for shooting in RAW is to maintain more visual information and make it easier to edit more specific elements of the image before processing. As a result, aRAW file is considerably larger than a JPEG. The LG G4 can shoot the same image in both RAW and JPEG simultaneously, ensuring there’s always a processed image based on what you shot. The phone doesn’t process the RAW images itself, but photo-editing software on a computer that can handle RAW files enables you to be able to manipulate or adjust them. At first, a RAW image might seem washed out or unsaturated, but fiddle with the edits, and you will have a much higher level of control over specific elements than you would with a more compressed JPEG. Naturally, you don’t have to shoot absolutely everything in RAW, but scenes that you really want to maximize are ideal scenarios in which you would do so. Also, if there’s a scene or subject that is a bit further away and may require cropping later on, shooting in RAW can raise the amount of detail you capture for easier cropping. The new LG G4 makes shooting this way easy with a simple tap of the JPEG-RAW button on the left side of the camera interface. If you really love great photos and don’t have a professional camera, then the LG G4 is the phone to have and is soon to Kenya and otherEast Africa Market in the next few weeks.